It is understood that the Deputy Marshal has private instructions to arrest the members of the Legislature and the State officers for treason as soon as this address is received by you. In such an event of course, no resistance will be offered to the officer. The last time someone, Samuel Newitt Wood, offered resistance to Jones it ended with an army outside Lawrence. For all the bellicose language common in such times, the free state movement had barely gotten clear of that without a battle they might well have lost or, failing that, won at the expense of bringing the United States Army down on their heads. Men who are ready to defend their own and their country’s honor with their lives, can never object to a legal investigation into their action, nor to suffer any punishment their conduct may merit. We should be unworthy the constituency we represent did we shrink from martyrdom on the scaffold or at the stake should duty require it. Should the blood of Collins and Dow, of Barber and Brown, be insufficient to quench the thirst of the President and his accomplices in the hollow mockery of “Squatter Sovereignty” they are practising upon the people of Kansas, then more victims must be furnished. Let what will come not a finger should be raised against the Federal authority until there shall be no hope of relief but in revolution. If the vampiric president descended upon them, Robinson told the free state men to stand ready. Should Pierce throw a war, they ought to come. Should he martyr them, they died for righteousness’ sake and could claim whatever patriotic and heavenly blessings such an office would convey. Kansas had hard times yet ahead, Robinson averred, but together and putting their faith in the Almighty, “His wisdom who makes ‘the wrath of men praise him'” they would make their Kansas into the Kansas, a state of the Union free twice over. Their Kansas would have no slaves and no black Americans alike, preserving it for them and their posterity. To that cause, the Governor need not add, they would commit their lives, their liberty, and their sacred honor. It must have made for a rousing read, thick with the patriotic and religious sentiments most potent to Robinson’s audience. But the bold words had to come with more than a hint of desperation. Jones would probably try nothing then and there, but what would happen down the road? The free state men had stuck their necks out, then stuck them out still further, in the hope that Congress would come to their rescue. That same Congress finally agreed on who ought to serve as Speaker of the House after a solid two months of debate, finally settling on a Know-Nothing antislavery man called Nathaniel Banks. They elected him on a plurality, not a majority, and it took one hundred and thirty-three ballots. The question of the free state government’s legitimacy could not hope to be any less explosive than that. Sorry for yesterday’s tardy post, Gentle Readers. I mistakenly scheduled it for the wrong date entirely. We left the House of Representatives with a new Speaker. 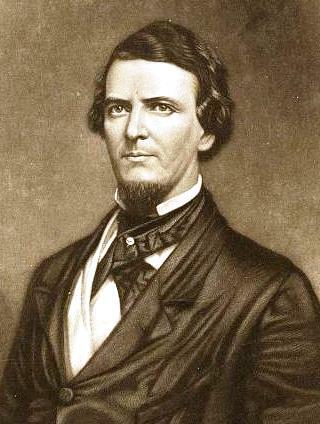 Nathaniel Banks claimed the office with a plurality vote on February 3, 1856, just a day shy of two months after the 34th Congress opened. The fate of slavery in Kansas had created that struggle to begin with, as northern antislavery reaction had cost the Democracy control of the House and support of the Kansas-Nebraska Act made various candidates entirely unacceptable. Every round of voting occasioned further speeches on the question. While the Speaker’s race wore on in the legislature, the executive made its own statement on the matter. From the very start of Kansas’ troubles, free state men had expressed their hope that if Franklin Pierce knew what had gone on he would stand with them. It suited their position to say so, as they constantly emphasized that they rejected only the bogus government of Kansas rather than the United States as a whole. They wanted nothing of treason, but rather only their rights as Americans and as promised to them by the Kansas-Nebraska Act. Self-preservation and cynical positioning play their role in those declarations, but we should not confuse Franklin Pierce with Jefferson Davis or John C. Calhoun. As a New Hampshire man, his contemporaries might not have expected him to defend every proslavery excess. Furthermore, the border ruffians had sinned against the cardinal tenet of the Democracy: popular sovereignty. As far back as Thomas Jefferson, Democrats (then calling themselves Republicans) had proclaimed themselves the advocates of the common white man against distant and elite authority. Andrew Jackson, who gets the press for doing the same, largely benefited from a well-advanced trend toward greater white male democracy. As a northerner and a Democrat, Pierce must have seemed to some, like his fellow northern Democrats in Kansas, like exactly the man you’d want to sort out the entire Kansas mess. So far as official acts go, Franklin Pierce had not given much encouragement to antislavery Kansans. He had fired Andrew Reeder, who demonstrated at least some devotion to genuine popular sovereignty in Kansas. But officially, Pierce dismissed Reeder for land speculations. Even if you didn’t believe that reason, and I doubt many did, at least the president hadn’t called Reeder a damned abolitionist plotting servile insurrection. And the first governor of Kansas had engaged in shady land speculations involving both land reserved for Indian tribes and the United States Army. Pierce had removed a guilty man from office, if not for his actual crimes. He waited all month, not sending the message until the last of December. Custom expected Congress to have its House in order, but as that chamber hadn’t done so Franklin Pierce reached the last possible moment to do his duty. Tradition or no, he had a job to do. He assured Congress that “the Republic is tranquilly advancing in a career of prosperity and peace” before progressing to the nation’s troubles, which might imperil said advance of prosperity and peace. We left the 34th Congress deadlocked on who to elect Speaker of the House. Until they did, they lacked a presiding officer and could hardly get any business done. Someone had to become Speaker, but the administration’s candidate couldn’t get the required majority. The opposition coalition of Know-Nothings, Free Soilers, Whigs, Republicans, and anti-Nebraska Democrats together had the votes to fill the seat, but such a heterodox group has its own problems finding the right man for the job. They agreed on not accepting Franklin Pierce’s choice of William Richardson, but little else. After Richardson won a plurality and, consequently, lost the first ballot the opposition made a go of uniting around Lewis Campbell, an Ohio Whig. 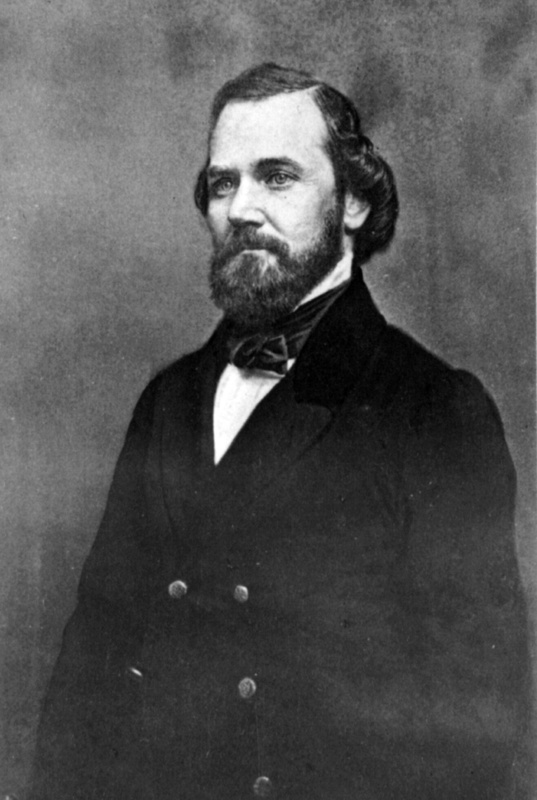 Campbell earned their esteem through an attempted filibuster against the Kansas-Nebraska Act in the last Congress. Things went so well back then that Campbell nearly found himself physically attacked. That had to count for something, right? Apparently not enough. Giving it another try after Campbell also failed to command a majority, a large group of Republicans settled on Nathaniel P. Banks. Banks, a Massachusetts man, had the kind of pedigree that would inspire mixed emotions in such a fraught time. In the Bay State, he had stood as a Democrat but then combined with free soilers. Lately Banks had hopped parties again, moving over to the Know-Nothings. That made him a traitor twice over, to more orthodox Democrats, and might look shifty to his latest band of allies. But his career also spanned contentious spectrum of party politics in the middle 1850s. Bank’s fellow Know-Nothings preferred Kentucky’s Humphrey Marshall and without them he didn’t have a majority either. When Marshall’s run ended similarly, they tried Henry Fuller. The votes went on and on, with no winner emerging. Every ballot came with a new round of recrimination. The Republicans laid into anti-Nebraska men who opposed Banks, which naturally endeared them to their targets. The southerners and administration Democrats had their own frustrations in the minority, still voting for Richardson ballot after ballot. Banks has 101 votes, Richardson 72, and Fuller 31, with eleven for minor figures. The House thought that pretty funny, but it probably didn’t win Banks any votes. With the grinding process, the constant rounds of fruitless questioning and votes, and endless speeches, one might expect tempers to flare. Congressmen had assaulted one another on the floor before, and would again. But only Horace Greeley took any lumps, and he took them away from the floor of the House. I sought further details, but haven’t found a copy of the New York Weekly Tribune for February 2 online. The battle for the Speakership wore on through December and January, not ending until the start of February when the House voted a rule to elect the Speaker with a plurality. Nathaniel Banks at last prevailed, 103-100, over South Carolina’s William Aiken, Jr. In settling on Banks, the opposition coalition had not repudiated nativism, but the majority within had clearly chosen an antislavery nativist, from Massachusetts no less, over proslavery or indifferent candidates available to them from climes further South. A victory barely managed out hardly made for a grand triumph, and Banks would use his powers in a decidedly impartial way, but the opposition had moved at least a small step beyond single-issue rejection of the Kansas-Nebraska Act and toward a consolidated party.